SambaDa’s newest member William Bates-Minou is a percussionist and song writer who’s career spands over 2 decades. 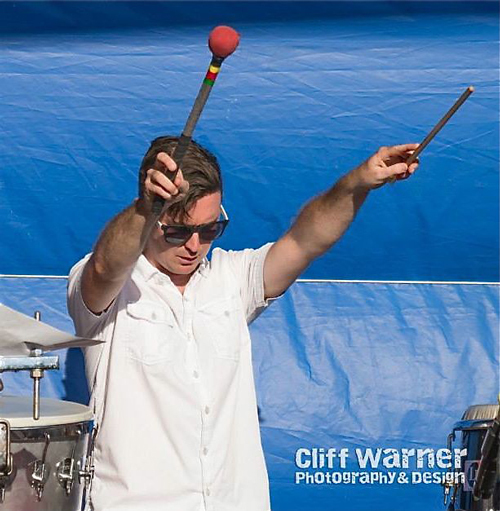 His playing style reflects many years of study with some of the worlds top percussionists. He has had the distinct pleasure to perform with artists such as Airto Moreira, John Santos, Kenny Stahl and many others. With the variety of multi ethnic songs that SambaDa plays William maybe seen transitioning from one instrument to the next, helping to create the rhythmic tapestry that SambaDa is well know for. Currently William lives in Santa Cruz California where he continues to write and record music.